Episode Two: “Fall from Grace” – Caim discovers Serafina in her present incarnation as she and Rocco are trapped in their tortured relationship. Father Buer finds another fallen one, and back at the Paradise, Lillith is running out of fools, while Beth gets the chance of a lifetime. 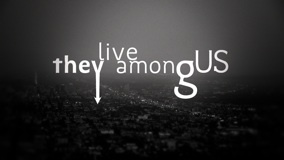 Click below to watch They Live Among Us – Episode Two: Fall from Grace.